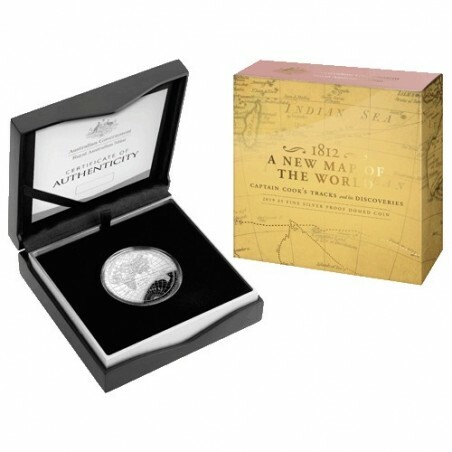 This exclusive 2019 $5 Fine Silver Proof Domed Coin traces the three voyages of Captain Cook as illustrated on a magnificent historic map. The richly-decorated map expresses the delicate artistry of the cartographer's work during the age of discovery. Struck in 99.9% Pure Silver to the Royal Australian Mints high quality proof standards. The convex domed coin design captures the excitement of an age of discovery. The reverse of each coin features depictions of the Eastern Hemisphere based on historic and rare maps of the 18th century. This coin follows on from the Celestial Domed series - Southern and Northern Skies. 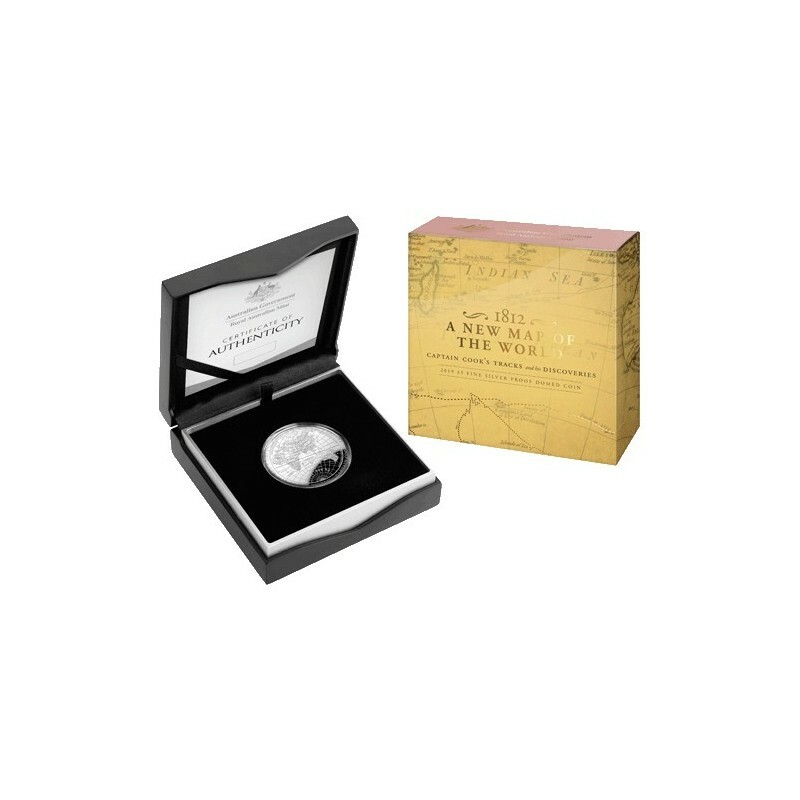 Each coin is presented in a case, with certificate of Authenticity and themed outer packaging. The coin's obverse features the effigy of Her Majesty Queen Elizabeth II designed by Ian Rank-Broadley.